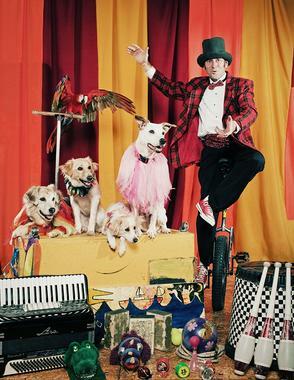 An Austin Favorite for over 25 years, Voted Best Party Entertainer By The Austin Chronicle, Seen on David Letterman, The Animal Planet, Two Years with The Royal Lichtenstein Circus, Former Math Textbook Editor, and SIX Time Ironman Finisher! AND BE THE FIRST TO KNOW ABOUT OUR NEXT SHOW! 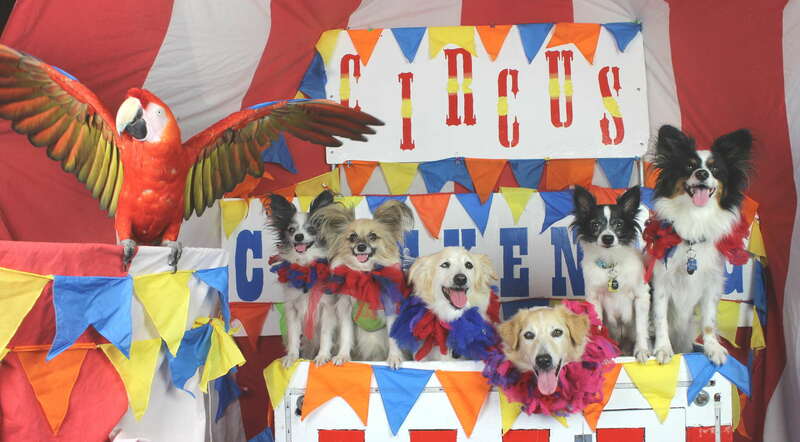 This is an old old old picture, featuring the original Chicken Dog and her buddy Jumpin’ Jack, and wow, I can’t believe how young Moose and Mouse are in this Picture-before Mouse lost his eye (story in the blog section).